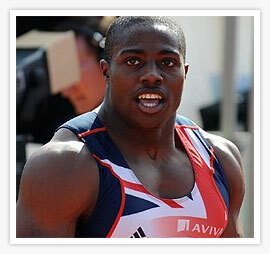 Harry Aikines-Aryeetey is a British sprinter and it is likely our relays boys will be rubbing shoulders with him at the upcoming Commonwealth Games (3 to 14 Oct). The beefy sprinter in a recent interview shares a sneak peek on what he does on a daily training day. Athletes are usually wary of sharing their workouts, but the training regime shared seems plausible. Currently a student at the Loughborough University, he describes of a double session training in the below short video interview. Working out two times a day is somewhat of a ‘luxury’ that our local athletes can’t replicate being the stiffing environment where the paper-chase and career advancement is more of a priority. Also another aspect is the use of a physiotherapist or a masseur before and after training. To have such is a plus point as such specialists could mean preventing an injury to giving a boost in performance when it matters.